The Business Council for Sustainable Energy will be traveling to San Francisco, California to participate in the upcoming Global Climate Action Summit, September 12-14. As a long-time business observer to the United Nations Framework Convention on Climate Change (UNFCCC), the Council is pleased to be a part of the first-ever international Summit focused on the contributions of sub-national actors – that businesses, civil society, investors, and local, city, and state governments – to tackle climate change. The invite-only Summit will be held September 12 – 14 at the Moscone Convention Center in downtown San Francisco. Alongside the Summit that week will be hundreds of affiliate events held throughout the Bay Area, many of which are open to the public. The BCSE is hosting an affiliate event on September 13, Powering Action for Climate Ambition: Clean Energy Business Solutions, from 9:15 am – 10:15 am PT at the Union Square – Harry M. Smith Conference Room, 414 Mason St. 8th Floor, Suite 800. 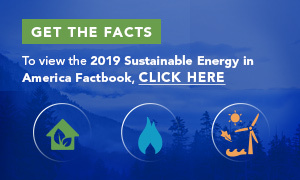 This event will showcase the 2018 Sustainable Energy in America Factbook findings and feature a round-table discussion with experts in the energy efficiency, natural gas, and renewable energy industries on their climate actions and commitments. This event is open to the public, but space is limited. Please register here. Following the BCSE event, from 10:30 – 11:30 am PT, the Alliance to Save Energy will host a discussion on Taming Transportation Energy Use in the Face of Transformation, and from 12:00 – 2:00 pm PT the Alliance will team up with the World Resources Institute to chair Spurring a Building Efficiency Movement in Support of Global Climate Action. Space is limited. BCSE members will be participating in both the Summit and other affiliate events throughout the week. Additional details are available here on the BCSE website. About the Author: Laura Tierney is the Director of International Programs at the BCSE. The aim of the Summit is to demonstrate a commitment to climate action by sub-national actors, and to pressure national governments to do more on climate change. The Summit, from September 12-14 is co-chaired by California Governor Jerry Brown, UNFCCC Executive Secretary Patricia Espinosa, UN Special Envoy Michael Bloomberg, Mahindra Group’s Anand Mahindra and China’s Climate Change Minister Xie Zhenhua. The Summit will focus on five cross-cutting challenge areas: healthy energy systems, inclusive economic growth, sustainable communities, land and ocean stewardship, and transformative climate investments. For more information, visit: www.globalclimateactionsummit.org. The Business Council for Sustainable Energy’s Blog brings the many different perspectives of the clean energy transformation that is underway across America to the reader, highlighting the latest in policy, technology and interesting happenings. Written by BCSE staff, Board Members and invited guests.